International Medical Relief will bring much needed aid to the world’s second most populous country, India. The team will care for those with the greatest need for medical attention. Our clinics are nestled among the throwback of centuries old traditions in southern India. Engage this culture first hand as you provide greatly needed medical care to the densely inhabited communities. Those left out of the medical system will not only get medical attention, but will also be given needed education to help them survive among the populous. Being in Hyderabad during the Holi Festival will take your breath away. The vibrancy of colors is something that brings in a lot of positivity in our lives and Holi being the festival of colors is actually a day worth rejoicing. The ritual starts by lighting up the bonfire one day before the day of Holi and this process symbolizes the triumph of good over the bad. On the day of Holi people play with colors with their friends and families and in evening they show love and respect to their close ones with Abeer. Come and join IMR to celebrate the triumph of good over bad - and good health over bad health! Holi is considered as one of the most revered and celebrated festivals of India and it is celebrated in almost every part of the country, but Hyderabad is home to one of the finest celebrations. It is also sometimes called the “festival of love” as on this day people get to unite together forgetting all resentments and all types of bad feeling towards each other. The great Indian festival lasts for a day and a night, which starts in the evening of Purnima or the Full Moon Day in the month of Falgun. It is celebrated with the name Holika Dahan or Choti Holi on first evening of the festival and the following day is called Holi. You will have a chance to celebrate the locals in one of the most fun places! According to the World Health Organization, India is recording very high infant mortality and a high death rate due to malaria from improper diagnosis, treatment and care. It is imperative for IMR to continue to help the people in India and overcome these health conditions. You can expect to see many respiratory conditions - including lower respiratory infections. Diarrheal diseases and accompanying dehydration are common and the 4th most common cause of death. Chronic diseases including hypertension, diabetes, COPD, and asthma will be common. Many patients are undiagnosed and your diagnosis will be of great importance to their future health; education is the first line of treatment for many of these patients. From a public health perspective, unsafe drinking water in urban and rural areas is the primary concern. Tobacco, alcohol, accidental and self-inflicted injury, and nutritional problems are also significant public health issues. Your team will work in high-density urban clinics and small villages - you will get the best of both worlds and see a good representative view of the areas around Hyderabad. There will be some great cultural experiences along the way! This is a signature trip with upscale hotels in the city and the best available near the villages. You will find the lodging to be more than comfortable and a great respite after working hard all day. The food will be wonderful and filled with local flavors and textures. Hyderabad is known for Hyderabadi Biryani, Keema Samosa, amazing soups, and amazing Kkatti Dal, where tamarind gives the lentils zest! You'll travel by coach bus and although the traffic is legendary, we'll try to avoid the worst spots or at least keep you laughing on the bus...our ground team knows the routes to get us where we need to go! Pay 1,688 and complete your application to secure your place as a TEAM MEMBER! Pay 1,688 of the total cost by the Early Bird date AND upload/complete all of your required documents and forms receive $200 off the cost of your trip. To confirm your space on the team: Pay 1,688 of the total cost AND upload all of your required documents and forms! Pay 1,688 of the total cost AND upload all of your required documents and forms to be eligible to fly on the international group ticket. 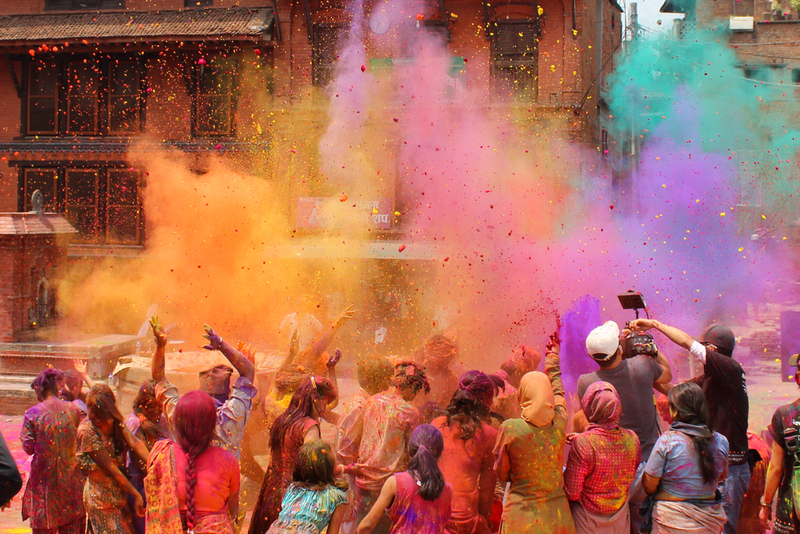 YES - We need your help to take IMR supply bags internationally to India – Holi! Take 2 supply bags for IMR both ways to India – Holi.